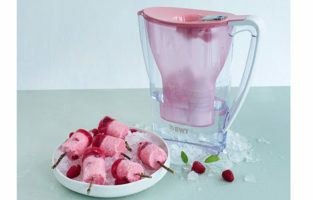 You will not regret having one of these on your countertop at all. 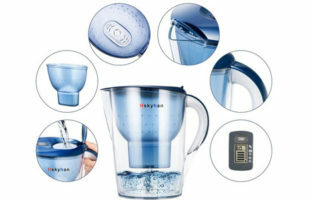 Paying a little more than the average price for the Hskyhan Alkaline Water Pitcher is not going to set you back that much but will ensure that you and your family have fresh drinking water constantly. 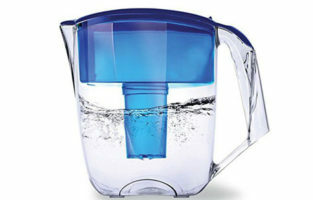 This product pretty much checks all the boxes when it comes to efficient and thorough filtration. 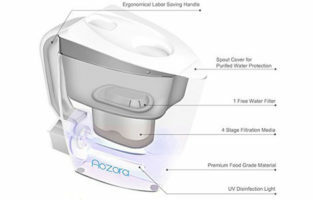 You will enjoy significant chlorine and odor reduction. Tap water often smells bad because of what’s in the pipes as well as because of all the added chemicals to it. 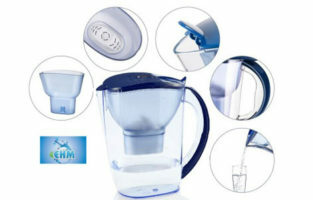 With the Hskyhan Alkaline Water Pitcher, you will not have such problems. 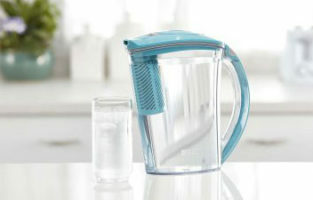 The water filter pitcher is lightweight and this makes it extremely eco-friendly. 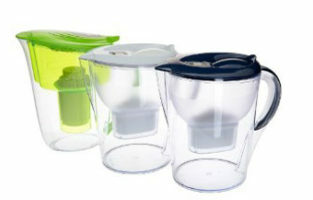 There is no BPA added to the plastic composition and it can all be recycled. The only knock about the jug being too light is about its durability. As long as you do not smack someone’s head with it, it should remain undamaged. 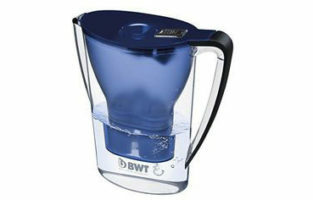 The filtration happens at 7 levels and it is exceptionally effective and thorough. While minerals are preserved and the pH levels of your water are increased, all sorts of heavy metals and contaminants are gotten rid of. You should aim at getting pH levels of at least 7 and above. The filter is also hard to clog and will produce about 300 liters or about 70 gallons of fresh water before having to be changed. The multi-layer filtration consists of several interesting parts in order to give you maximum results. 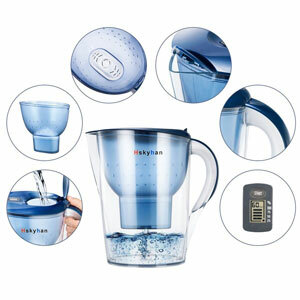 The Hskyhan Alkaline Water Pitcher features the following filtration technology. The water first interacts with the polypropylene melt blown fiber. Then, there is a layer of carbon which has been nanometer activated. The ionization of the water happens in the 3rd layer which is the ion exchange resin layer. 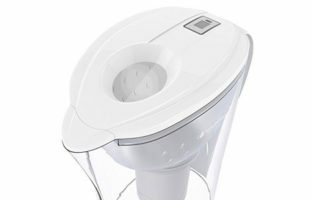 There is also a coconut shell layer which traps particles and further purifies your water. 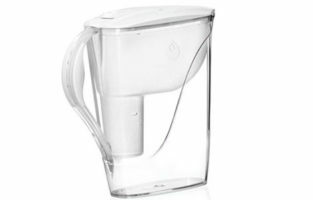 Lastly, the high-density filter mesh concludes the purification process and releases clean water to the lower compartment of the jug. 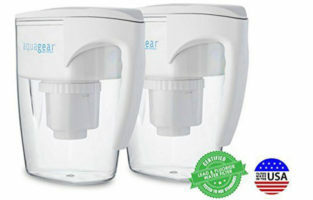 The LED timer is a great addition to the lid of the water purifier pitcher as it will prompt you about when to replace your filter. 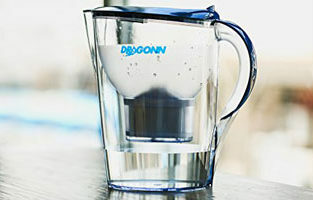 As mentioned above, the filter’s life is related mainly to capacity and volume of water cleansed. 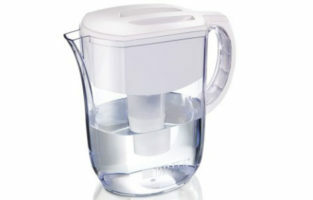 However, you might want to pay attention to the timer no matter how often you refill your jug of water. 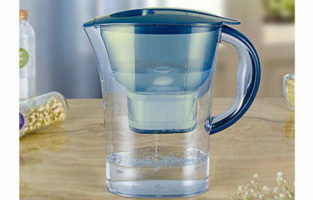 It is important to note that you shouldn’t pour warm water into the pitcher. 38 degrees is the threshold when we talk about Celsius and 100.4 degrees is your limit in case you are located in the US and use Fahrenheit. Anything above these temperatures will result in unsatisfactory results and even possible damage to the filter. Another thing to remember is not only to soak the filter before using it for the first time but you are also to thoroughly wash hands before interacting with the filter itself. A quick tip here is to not just dump the first couple of pitchers but maybe water some plants instead. Unfortunately, most of the stuff mentioned above isn’t exactly mentioned in the instructions or are very tough to understand. The instruction manual is mainly in Chinese or just “broken” English. It is safe to say that Hskyhan has not done a great job when it comes to composing the instructions. 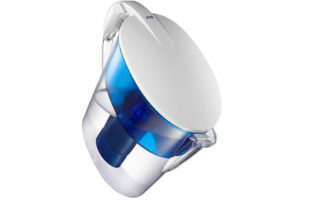 And lastly, the set of this water filter pitcher comes with not just one but two filters giving you a spare filter. Once you spend money on the initial set, you will have enough filters for the first four months. That’s very much budget friendly.